We thank our customers, supporters and Kickstarter backers for helping us launch this summer. Moreover, we enjoyed meeting everyone in San Francisco and New York. Best wishes for a fine and elegant holiday season and we look forward to completing your orders soon! The first fitting will last up to one hour. For new customers, the meeting will focus on assessing the fit of the basted jacket prepared by the tailor and his workshop. 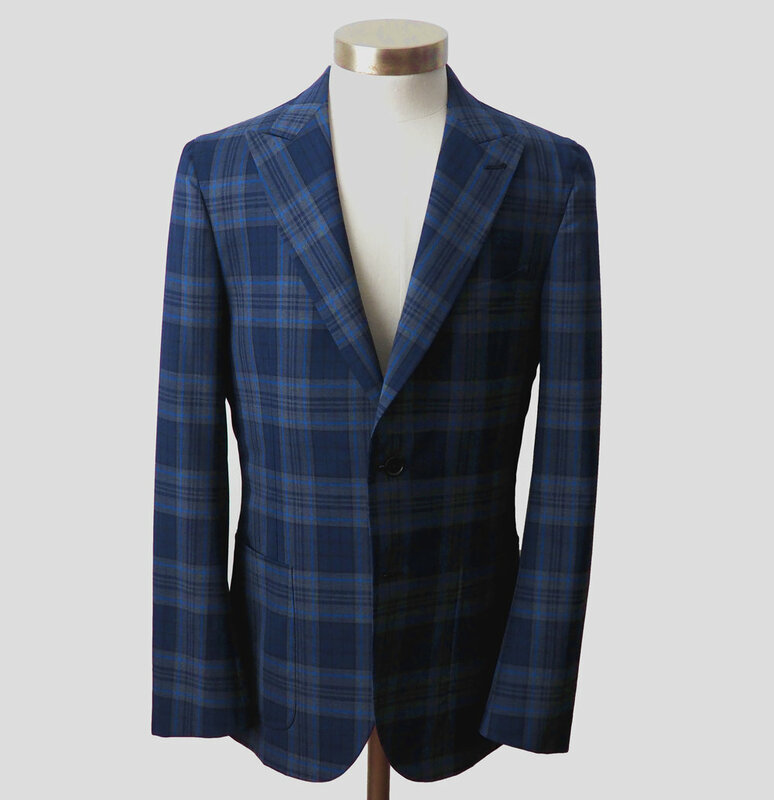 The featured tailor will make any necessary adjustments to your jacket, pants or other garment being fitted. The basted jacket will consist of a partially finished jacket body (sleeves may be attached for returning customers). Pants may be semi-finished except for length, pockets and buttons. Optionally, we may take additional photos or video of you during the fitting as a reference for the tailor. Similar to the measurements meeting, we recommend you wear your best fitting shirt, ideally MTM or bespoke, that represents the type of shirt you’ll wear with the jacket you’ve ordered. This is critical in gauging your sleeve length. More generally, we will be finalizing key items such as button stance/height, jacket length and sleeve length. It is essential that you are fully comfortable with your choices and that you fully approve the changes made at the fitting. These choices are often not reversible (e.g. button stance/height or sleeve length) once made. Finally, we can also receive cloth for any new orders you have placed as well as return a bespoke garment you have designated for duplication.